In the long term, it’s often smarter to buy a home than rent one. You could capitalize on both, though, through a real estate investment. You can buy a home for the eventual returns and rent it out to cover the mortgage payments. But if you’re overwhelmed by idea of getting a property ready for inhabitants, a turn key property could be a great option. 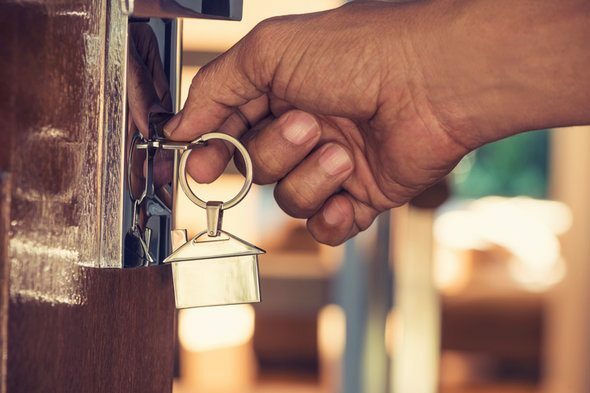 However, despite their obvious appeal and ease, there are some things to be wary about when it comes to buying turn key homes. What Is a Turn Key Home? A turn key home is essentially what it sounds like, a home where you can turn your key in the lock and move right in. Most often a turn key home just means that it has been fully and newly renovated. Turn key homes are renovated before they’re put up for sale, usually by companies that specialize in real estate restoration. Those firms can also help buyers manage the property. That way, new owners won’t have to spend too much time or effort finding repairmen or handling neighborly squabbles. Turn key homes are popular for home buyers and investors who have no time, ability or interest in setting up the home themselves. If you’re looking for an easy source of passive income, turn key homes can be a great opportunity to earn returns without much effort. A turn key home, by definition, makes the home move-in ready. This immediate usability makes it attractive to investors regardless of its mixed use or completely commercial use. Having real estate ready to go means you can start earning income instantly. One of the most attractive features of buying a turn key home is the saved time. Your time is precious and the real estate market can be unpredictable. So having a home ready and waiting for inhabitants can be ideal. Plus, the hands-off approach means you won’t have to worry about making repairs and meeting building codes. Even if you already manage other investment properties, turn key homes can help you diversify your portfolio. You also may get to skip some of the tricky bits, like appraisals, inspections, titles and rehabbing the home. You won’t need any construction or remodeling experience to make money. Even though distressed or foreclosed properties come at a cheaper cost, contractors, supplies and repairs add up. Turn key companies handle all the construction before the home even ends up on the market. Sometimes companies can even provide property management to find and manage tenants for you. First things first, investing in real estate is never risk-free. There is always the chance that a market goes sour, your property taxes suddenly skyrocket or a natural disaster wreaks havoc. Turn key homes tend to generate lower returns than independent properties completed on an investor’s own terms. When it comes to buying a turn key home, you should know that it won’t be cheap. Turn key homes are one of the most expensive types of property to invest in. Sellers and turn key companies roll the renovation costs into the final cost of the home. It will be especially expensive in a seller’s market and in high value areas. You also have less control over a turn key property’s appearance, layout and style. Because all the repairs are done before you move in, you won’t have a blank slate to DIY decorate or furnish. If you’re looking to put your own time and touch into the care of your home, buying a turn key home might not be fulfilling. Additionally, despite assurances that a property is move-in ready, you may still want to have an inspector look at the home. While cabinets and counter tops may look great at first, it may not be a job entirely well done. There could also be some old plumbing or electric work that only a paid inspector would notice. A turn key home is undoubtedly a great option for both home buyers and real estate investors. It takes out a lot of the nitty-gritty processes when it comes to buying and renovating a home. You will want to make sure that a turn key home fits your needs and goals before jumping right in, though. While you save money and time on contractors and repairs, buying a turn key home will cost a premium price. You may want to visit the property first and hire an inspector to make sure that the home really is worth the premium.